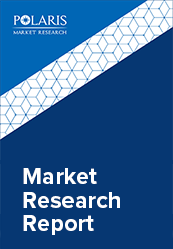 The global apheresis equipment market was estimated at USD 2,040.41 Million in 2017 and is anticipated to gain significant traction over coming years. Apheresis is a process in which the blood is delivered through the equipment in which one constituent of the blood is centrifuged and the residue constituent is reverted to the bloodstream of the patient or donor. During blood donation with the use of apheresis equipment, the process comprises collection and separation of the platelets or plasma, while returning red blood cells to the donor’s bloodstream. There are several types of processes dependent upon the components of blood undergoing centrifugation i.e. the constituents being withdrawn and separated such as Platelets (plateletpheresis), Lymphocytes (lymphopheresis or lymphapheresis), Red blood cells (erythropheresis) Plasma (plasmapheresis), and Leukocytes (leukapheresis). Apheresis processes also have a number of therapeutic applications in which the diseased component of the blood is removed while the healthy constituent is returned to the body circulation. Additionally, this process is also being used for the collection of stem cell. Apheresis equipment market encompasses the equipment used during the procedure of apheresis. Several centrifuge-type apheresis equipment has been approved by the Food and Drug Administration (FDA) for the therapeutic determination. On the other hand, some apheresis equipment is delimited only for blood banking purposes. The global apheresis equipment market is majorly driven by the rise in the use of apheresis equipment during blood donation. Moreover, equipment to treat diseases such as homozygous familial hypercholesterolemia, myasthenia gravis, Guillain-Barre (GB) syndrome, fulminant Wilson disease, and severe cryoglobulinemia is anticipated to augment the market growth. Additionally, the procedures that are accomplished by apheresis equipment are also used as the second line of treatment in many other conditions. Increasing insurance coverage, growing number of new product launches in centrifuge-type apheresis system and rising health care spending is another factor helping the revenue growth of apheresis equipment market drives the market for apheresis equipment. However, high costs associated with this equipment along with strict regulations are anticipated to hinder the growth of the apheresis equipment market over the forecast period. The global Apheresis Equipment Market is segmented on the basis of procedure type, application, end user, and geography. On the basis of procedure type, the global Apheresis Equipment Market is segmented into Plasmapheresis, Plateletpheresis, Leukapheresis, Lymphopheresis, and Erythrocytapheresis. In 2017, the Plasmapheresis is estimated to dominate the market growth. Increasing occurrence of blood-related diseases and rising demand for plasma-derived drugs are anticipated to serve as a primary growth driver of this segment. On the basis of application, the global apheresis equipment market is segmented into Blood Donation and Therapeutic Purpose. The therapeutic purpose is further categorized into Renal, Hematology, and Other Rare Diseases. On the basis of the end user, the global apheresis equipment market is segmented into hospitals, clinics, ambulatory surgical centers, and blood donation centers. On the basis of end users, the hospital segment is anticipated to dominate the market growth in 2017. In terms of geography, North America was estimated to dominate the global apheresis equipment market. The dominance is majorly due to growing healthcare spending, high donor awareness levels, the existence of a high number of market players, and relatively higher number of Research & Development exercises relating to product manufacturing and marketing accomplishments in this region. However, Asia Pacific is anticipated to dominate the global apheresis equipment market. Growing occurrence of diverse types hematological disorders in the region is the major factor boosting the market growth of apheresis equipment market in the Asia Pacific. Major firms are focusing on small firms with a working methodology of securing the end goal to manage position in the market and are associated with mergers and acquisitions, key joint efforts, and novel item advancement to pick up profit share in the business. Some major key players in global Apheresis Equipment Market includes Haemonetics Corporation, Fresenius Kabi (Fenwal), Asahi Kasei Kuraray Medical Co. Ltd., Terumo BCT, Inc., HemaCare Corporation, Therakos, Inc. and B. Braun Melsungen AG among others.